I love this piece!!! I used to write a column called, Sister Eddie Sings. It was a self-help write-in thing where an aging ex-Italian Gangster-turned-Nun gives advice. This reminds me of that. 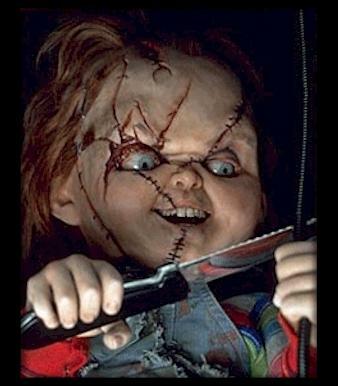 I watched all the Chucky movies when they came out and even have the figurines from The Bride of Chucky. So, this cute piece hits home!!! And might I add…that the pic of you, Mistress Barbie, is Smokin’ Hot!!! !